Ariel Detergent Gives a great clean. 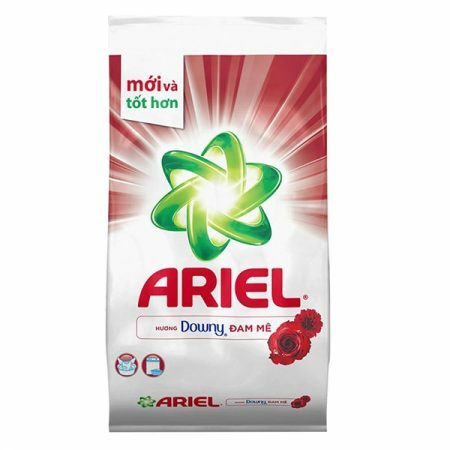 The unique formula of Ariel Plus Downy Passion Powder Laundry Detergent 2.5Kg. Is a new generation washing powder that helps to whip up the most stubborn stains, leaving no residue on the detergent. Activates even in low and high temperatures and dissolves quickly even in a quick cycle, removing the hardest known stain with your clothes, keep your clothes clean, fresh and fragrant. Perfume downy passion. It is a perfect cleanser when you need your clothes cleaned right away. Sometime you get hurry need clean clothes. Put your clothes in washing machine, even you do not have enough value of dirty clothes. 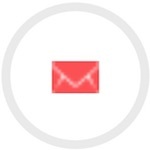 Don’t worry there is quick wash option on most modern washing machines. 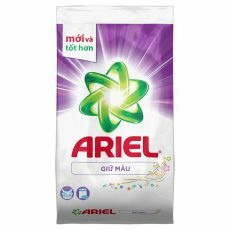 Combine using Ariel will help your clothes clean, fresh. Let's take a look at basic laundry instructions. A quick wash is pretty much what it describes. It clears your clothes faster than your normal cycle. 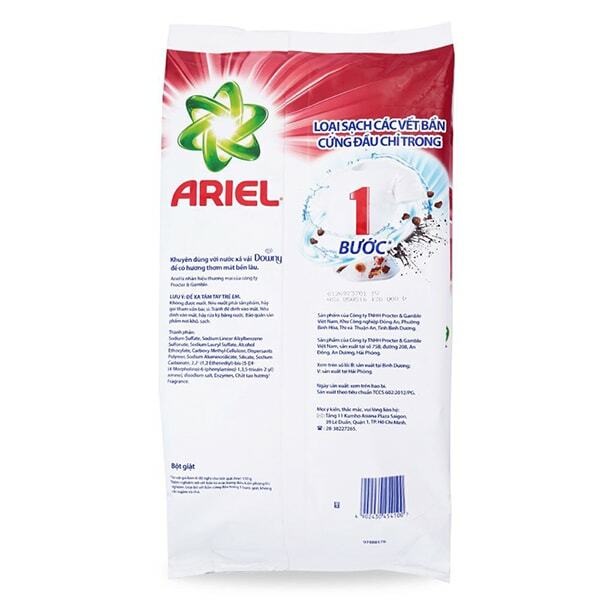 Washing powder to beat the dirt twice as much laundry detergent in the washing machineThis is the most suitable product for washing machines and has a low foaming formula to protect your family's washing machine. With breakthrough technology to help dissolve better, more effective, help stain stains quickly and effectively. 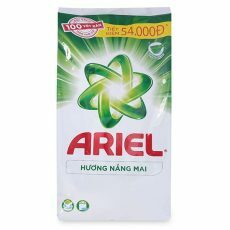 Ariel makes the Vietnamese women's laundry work more lightly, helping to make Vietnamese women's life better. 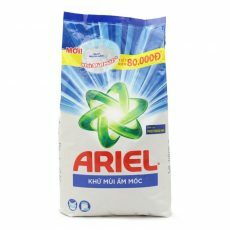 What is detergent for washing machine? Ariel Plus Downy Passion Powder Laundry Detergent 2.5Kg with combine Downy fabric conditioner. The wash detergent has long-lasting fragrances that stay on the clothes for a pleasant, comfortable feeling. Ariel Plus Downy Passion Powder Laundry Detergent 2.5Kg uses high quality ingredients that meet stringent international standards for biodegradability and safety. Sort clothes. Dispense with clean water. 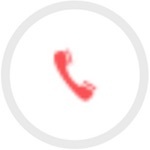 Mix 1 tablespoon of detergent 30g into 4-5 liters of water until completely melted. Soak for about 30 minutes and lightly crush. Discharge 2 to 3 times. Squeeze and dry in a dry place. Make sure you have white clothes in the sun, colored clothes in the shade.